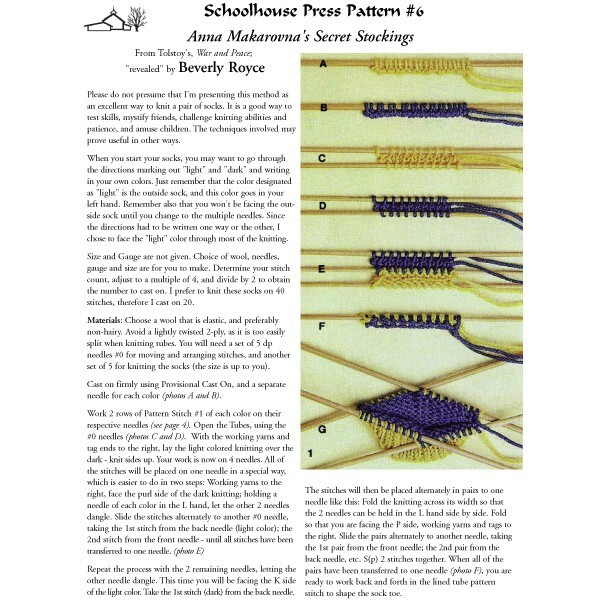 Although Beverly Royce's book, Notes on Double Knitting, is out of print, we have made an instruction leaflet from one of the most requested patterns in that book: Anna Makarovna's Secret Stockings (from Tolstoy's War and Peace). Two socks knitted simultaneously - one inside the other! 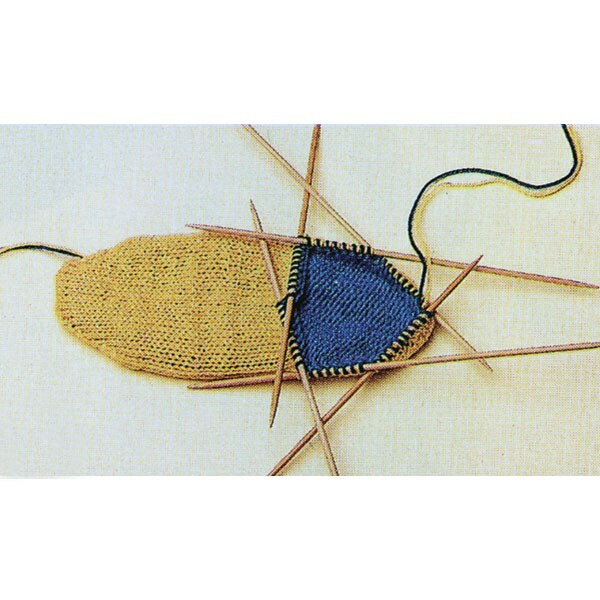 Beverly professes a unique method of Double Knitting; she writes, "It is a good way to test skills, mystify friends, challenge knitting abilities and patience, and amuse children." Recommended for experienced double Knitters -- or bold knitters who like to leap into the unknown.